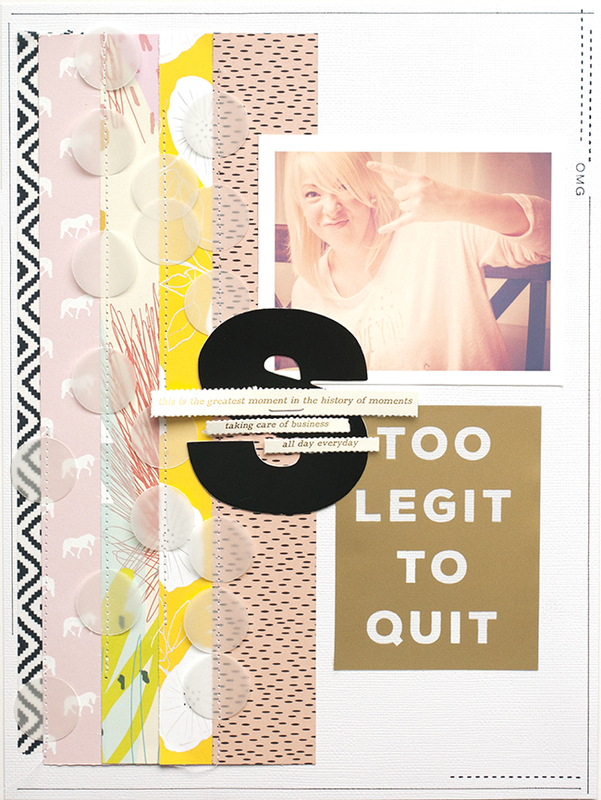 Last night, on my way upstairs to bed, I passed by my scrap space and suddenly got the urge to make something. Usually I would just keep on walking and head to bed...but this time I didn't. I stopped, turned on the light at my desk and sat down. And 20 minutes later I had a layout. I didn't pull out a bunch of stuff, I didn't search high and low for the perfect photo. I just sat down and grabbed whatever was close. My girl Sarah will kill me for using this photo...but it's totally worth it. Just sit down and make something. Anything. Don't worry about making it perfect. Don't worry that you don't have the perfect color combos or photo or embellishments or whatever. Just create. It's good for you. Oh it is so on. 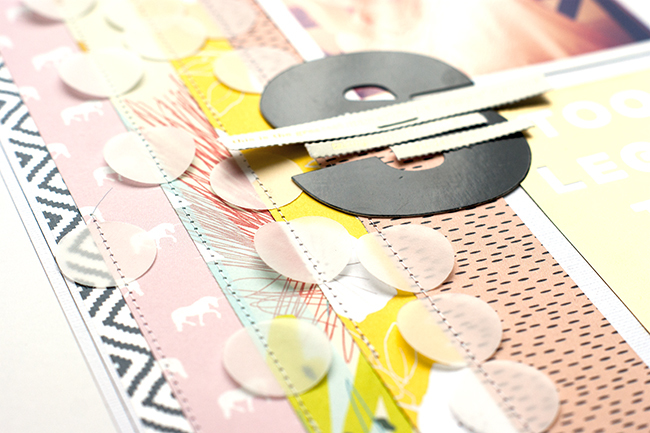 seriously LOOOOVE the vellum circles!! such an aweome layout in so little time!